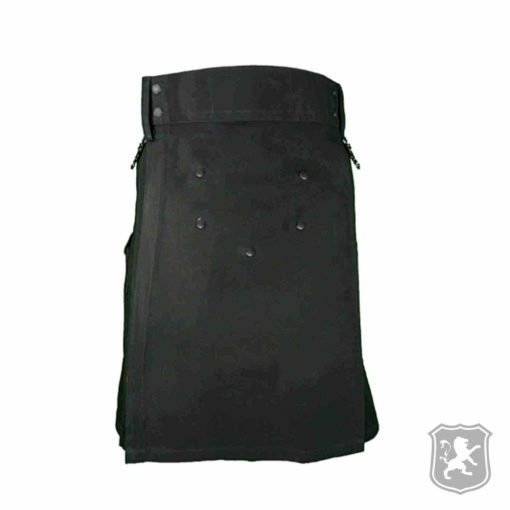 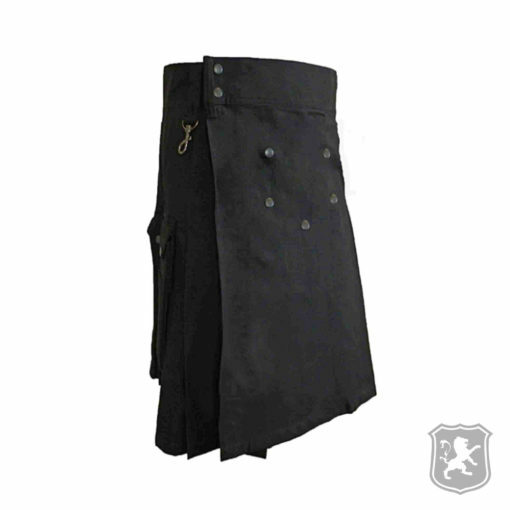 The Wilderness Black Utility Kilt is a kilt that we specially designed for outdoor enthusiasts. 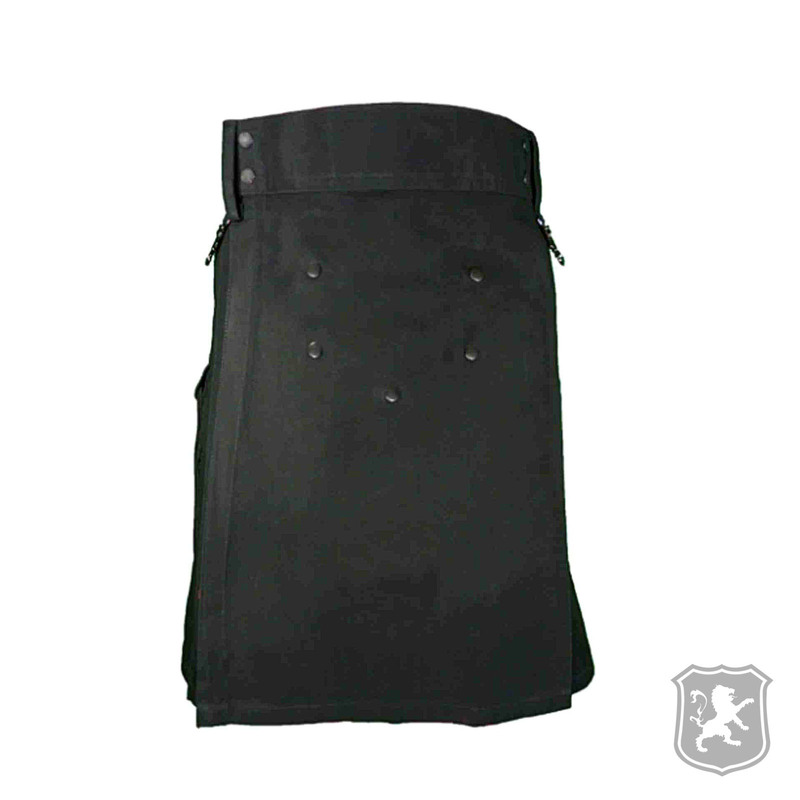 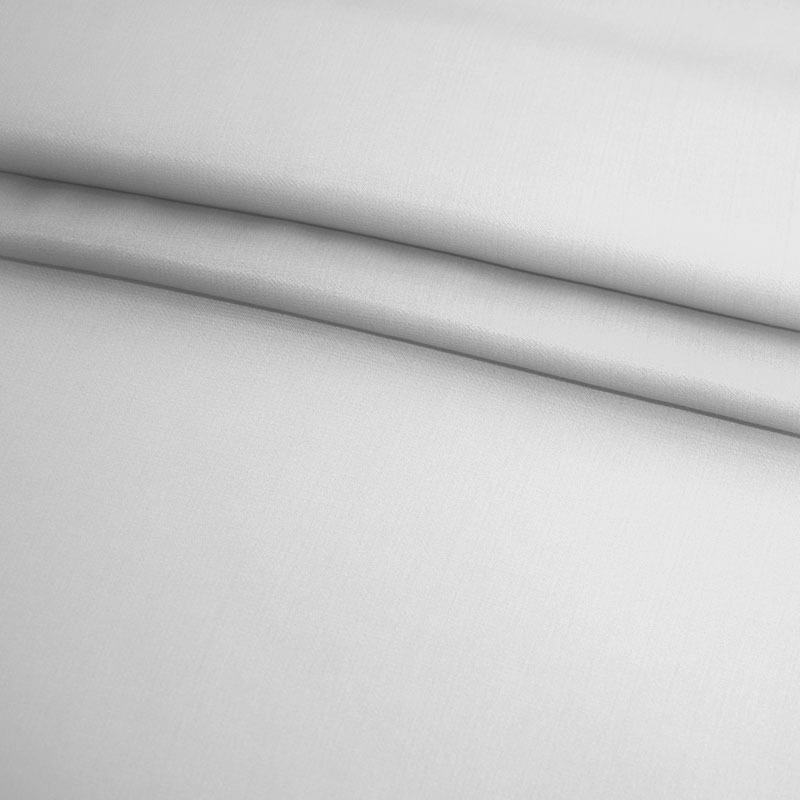 We’ve used a heavy duty durable material that can withstand anything natures throws at it. 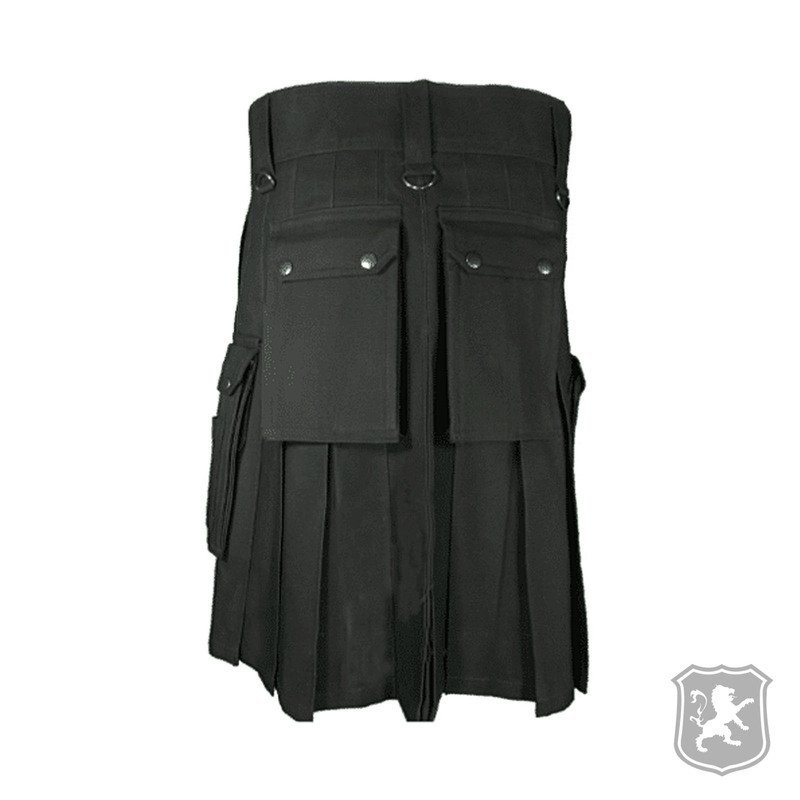 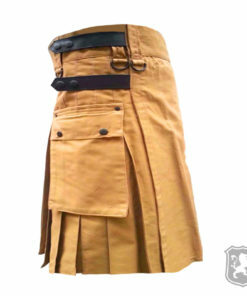 This is a perfect kilt for anyone who spends more time in the outdoors. 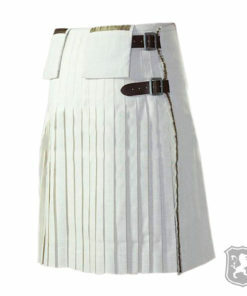 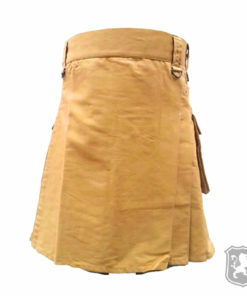 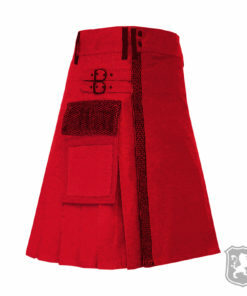 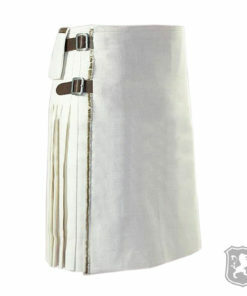 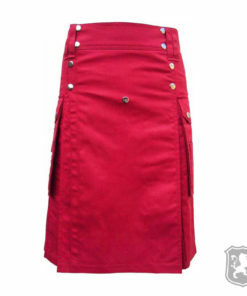 On the front of the kilt you will see that it is plain and simple with some decorative buttons. 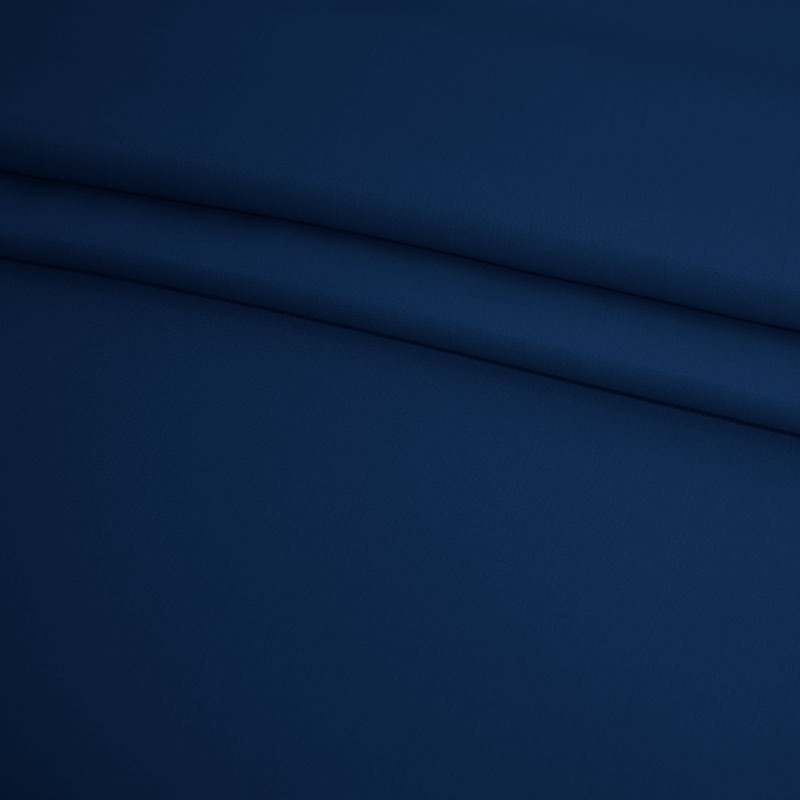 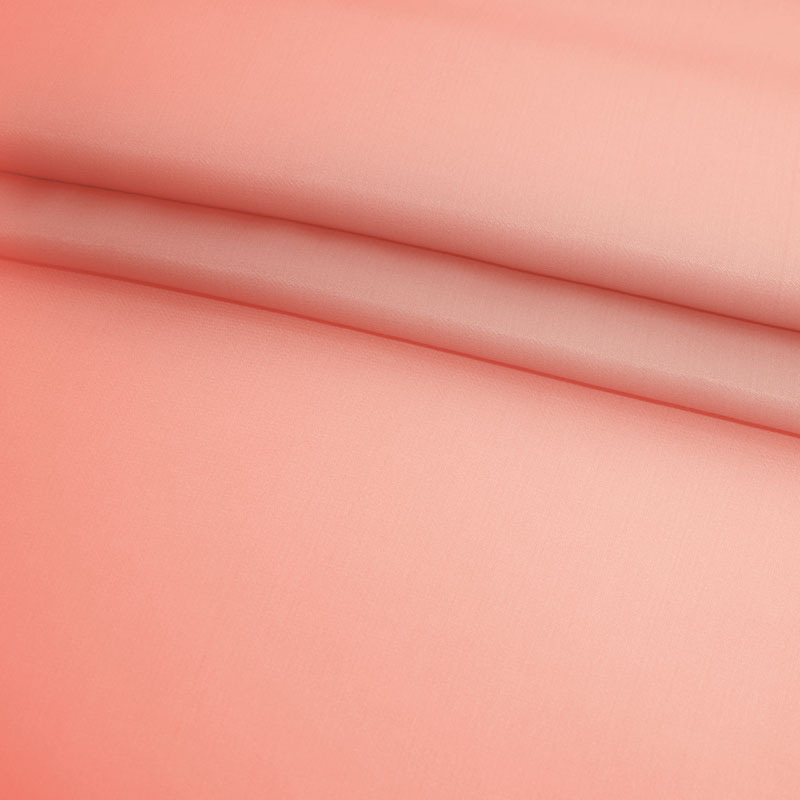 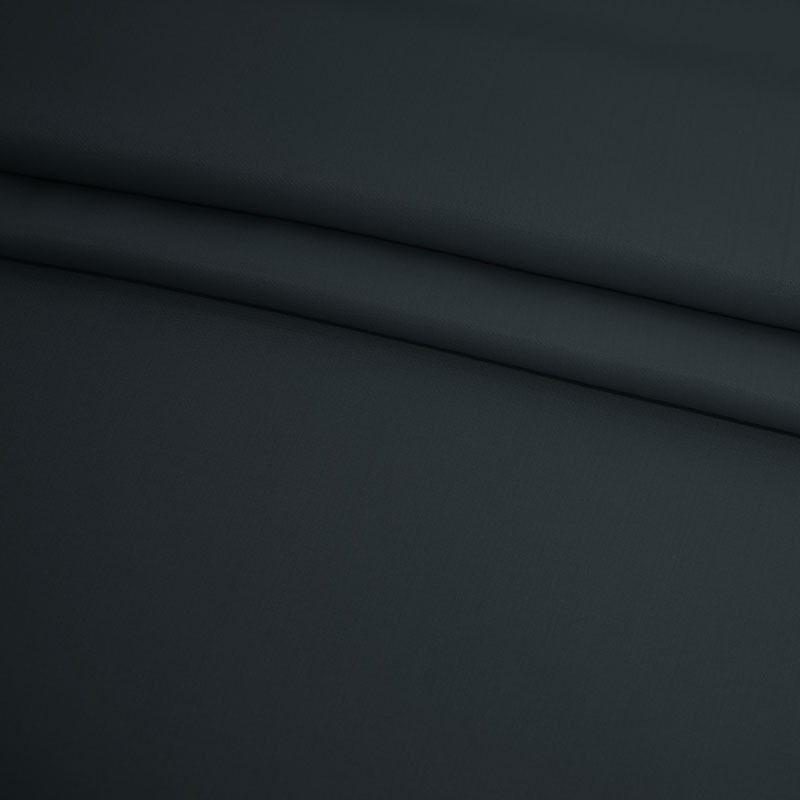 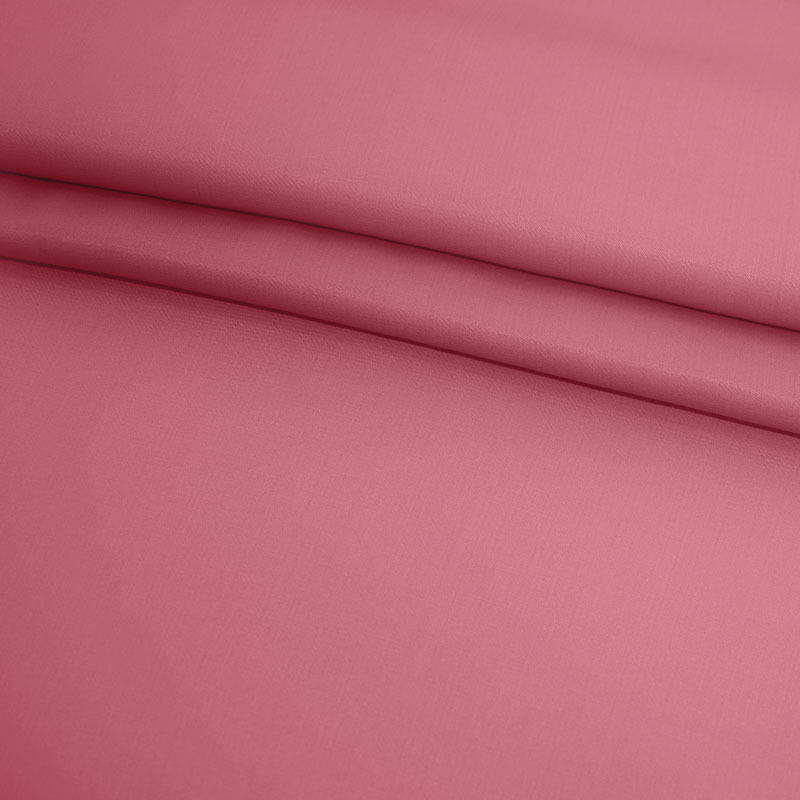 It hangs perfectly on your body and doesn’t gets wrinkles easily. 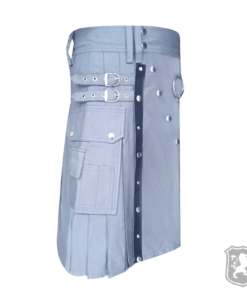 You will also see two decorative buttons embedded on the belt area. 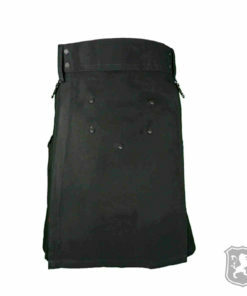 On the side, it has two large flap pockets with two decorative buttons embedded on the flap of the pockets. 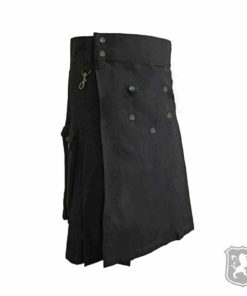 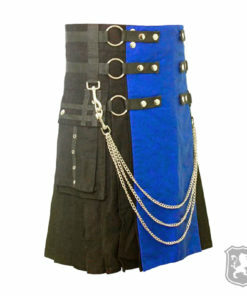 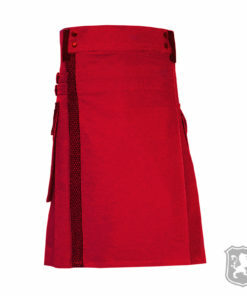 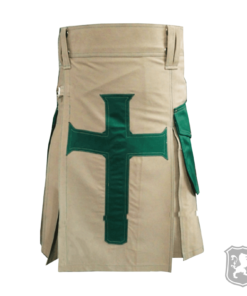 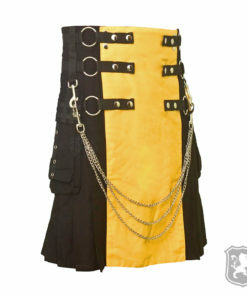 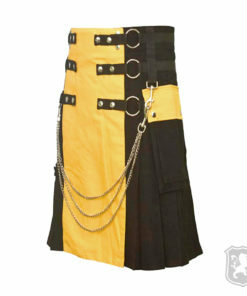 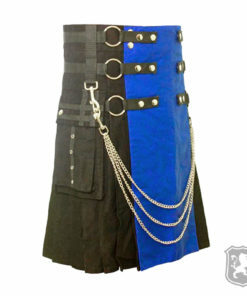 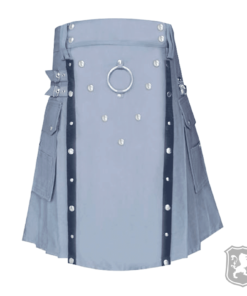 It also has a small pocket on the upper side of the kilt. 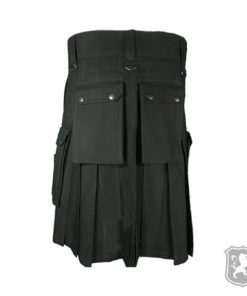 On the back, it also has two flap pockets with decorative buttons. 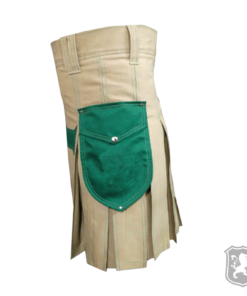 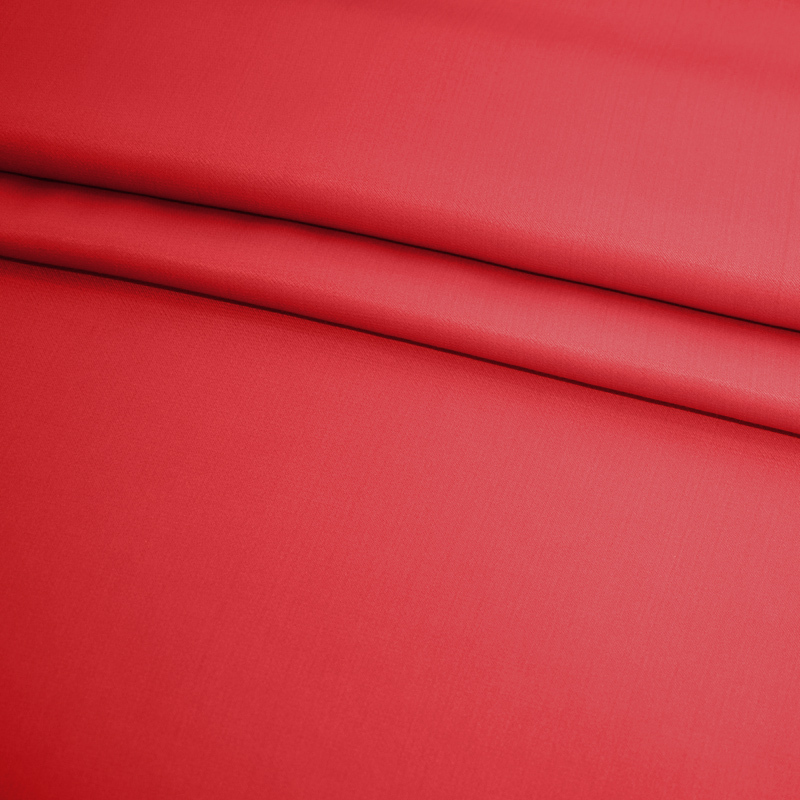 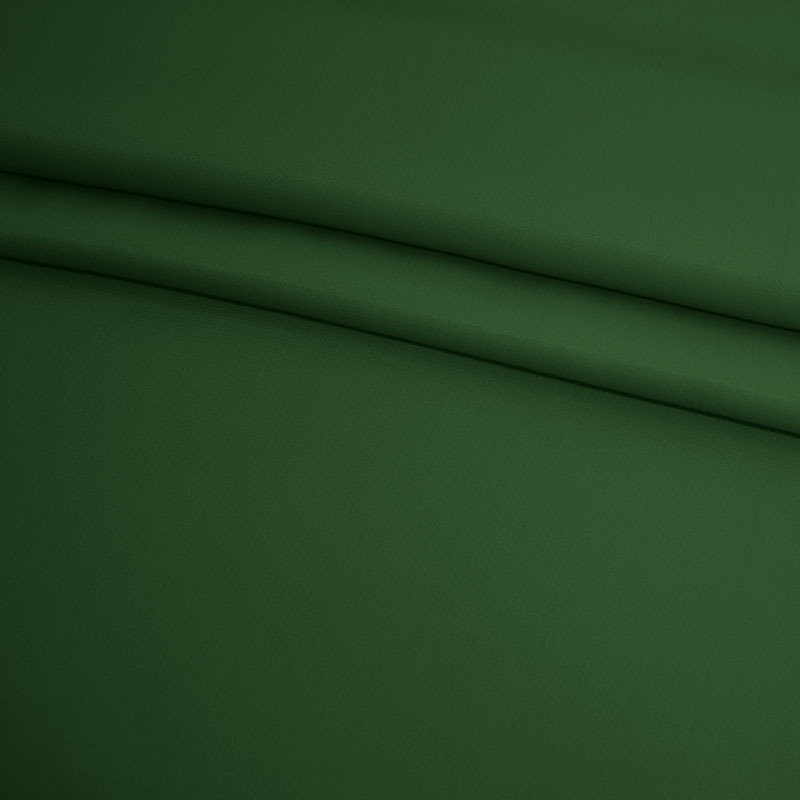 The pleats are sewn at around 2.5 inches deeps but there’s an option to customize it as well.